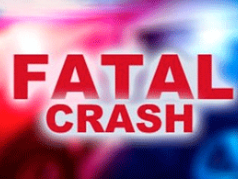 PRATT COUNTY— Two people died in an accident just after 3p.m. Wednesday in Pratt County. The Kansas Highway Patrol reported a 2011 Kenworth semi driven by Evaristo S. Mora, 63, Chaparral, NM., was eastbound on US 54. The semi was approaching some slower moving traffic ahead, made an evasive maneuver to the left to avoid it and collided head-on with a westbound 2003 Volvo semi driven by Patricio Maturino, 36, El Paso, TX. Maturino was transported to the hospital in Pratt where he died. A passenger in the Kenworth Arturo Mora, 42, Chaparral, NM., was transported to the Kingman County Hospital where he died. Evaristo Mora was transported to the hospital in Wichita. All three were properly restrained at the time of the accident, according to the KHP.